Susohiki literally means `trail the skirt'. 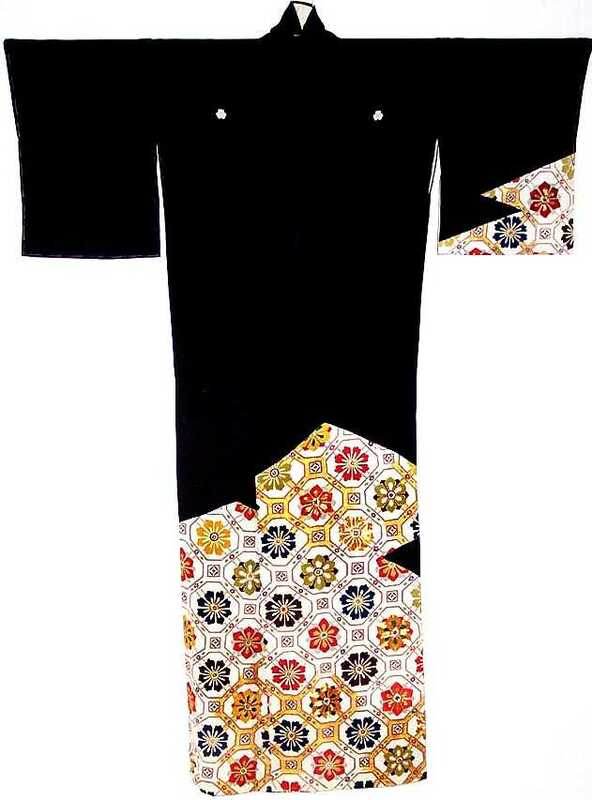 This beautiful hand painted kimono is made of medium weight black crepe silk. This very long black kimono is the authentic costume Geishas wear when performing the elegant folding fan dance. 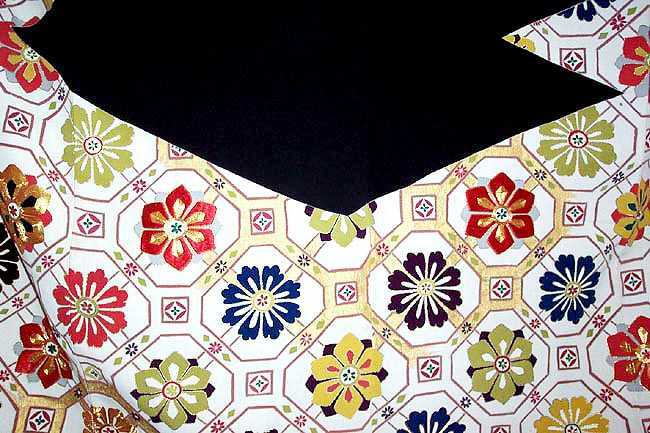 The hem is lavishly painted in an ornate design of tortoise shell design. 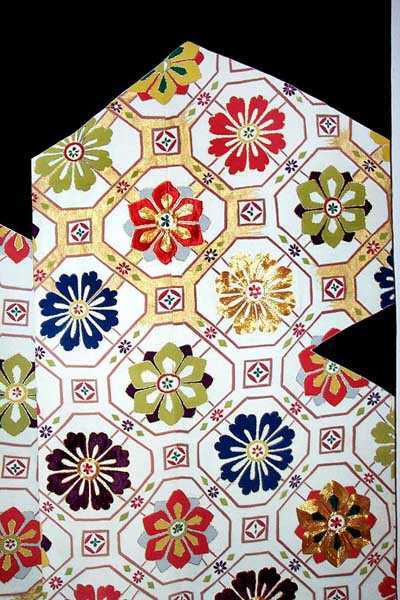 Each section of the tortoise shell pattern is ornately decorated in hand painted flowers and mon designs. Tradition claims that the tortoise helps prop up the world, guards the northern quadrant of the universe and carries on its shell the sacred inscriptions. 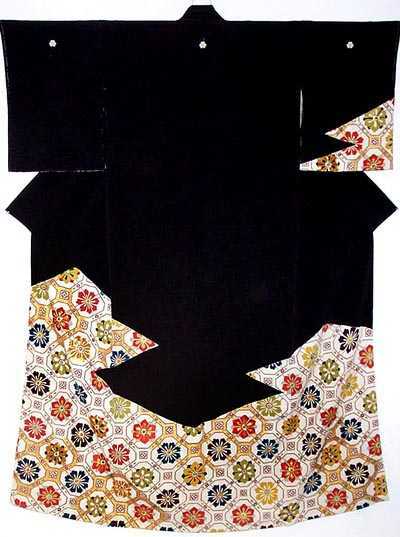 In this black silk kimono we see the great reverence the Japanese have for this magnificent design motif. The composition is brightly colored and embellished in gold. The Susohiki kimono is fully lined. It has five family crests or mon.